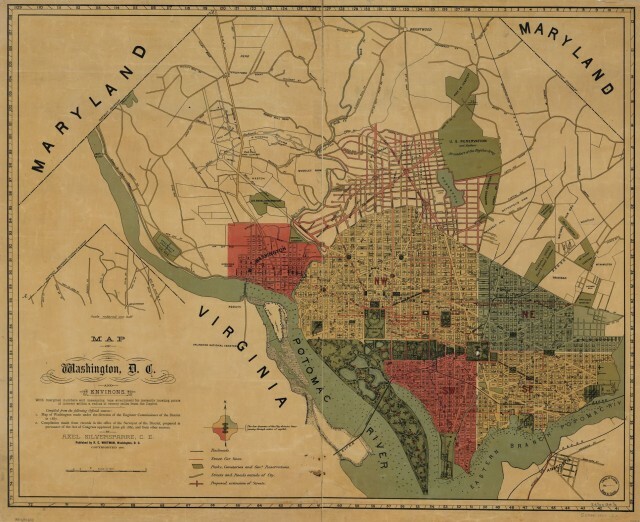 PoPville » Anyone Ever Hear of Sedgwick Circle? Anyone Ever Hear of Sedgwick Circle? Living in Bloomingdale, I always hear of “Truxton Circle” on North Capitol and Florida Ave that was demolished, and longed for its return. Looking at the old pictures of the park and fountain makes one wonder why it was sacrificed instead of saved like Dupont and others. I was unaware of how many other circles were in DC and were demolished over the years. 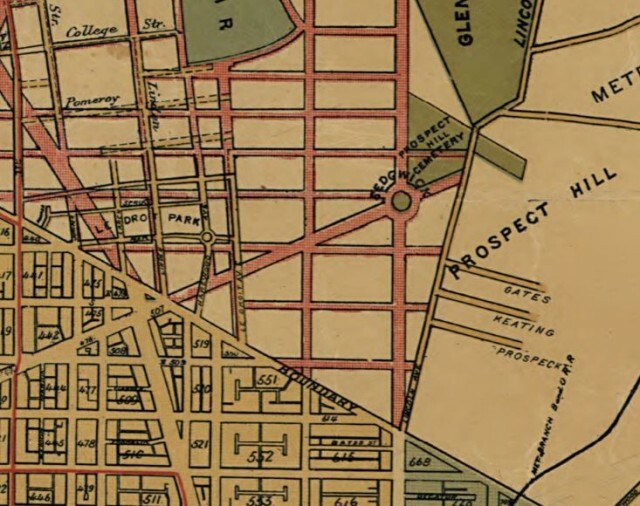 I ran across a circle in Bloomingdale on an 1887 map of DC that I had never heard of. It was at Rhode Island Ave NW, U Street NW, and North Capitol Street It was called Sedgwick Circle and Rhode Island Ave actually ended there and did not continue on into North East. In the zoomed in image you can see Lincoln Ave (now Lincoln Road), Ledroit Park, Glenwood and Prospect Hill Cemeteries, Boundary Street (now Florida Ave) etc.